In this week's BlogNews report, we're bringing you highlights from PokerStars, Full Tilt, and partypoker blogs from the last week. The United Kingdom and Ireland Poker Tour (UKIPT) will kick off its fifth season in the heart of London’s West End at the luxurious Hippodrome Casino from Jan. 20 to Jan. 26. This PokerStars-sponsored series is bound to be the biggest and best ever as the tour has seen itself grow year upon year. According to the PokerStars blog titled UKIPT to open Season 5 in London, the UKIPT awarded £7 million in prizes in 2014 alone! Head to the PokerStars Blog to read more about UKIPT Season 5. Is it Déjà vu? The FTOPS XXVII has been running full steam ahead at Full Tilt and if Event #5 is anything for us to base things off of, things aren't that much different than the previous instalment of the FTOPS three months ago when Mark "dipthrong" Herm won the leaderboard for a four-month Black Card sponsorship. On the Full Tilt blog titled FTOPS XXVII "dipthrong" On Fire; Watch Event #5 Final Table, you can watch the entire final table unfold. After nearly an hour of play, Herm found himself facing "Budnikov" who won this same event the previous FTOPS. Herm also was taking odds on Twitter before the event started about whether he could repeat his impressive feat from the previous FTOPS: "Anyone wanna give me odds to win FTOPS leaderboard?" 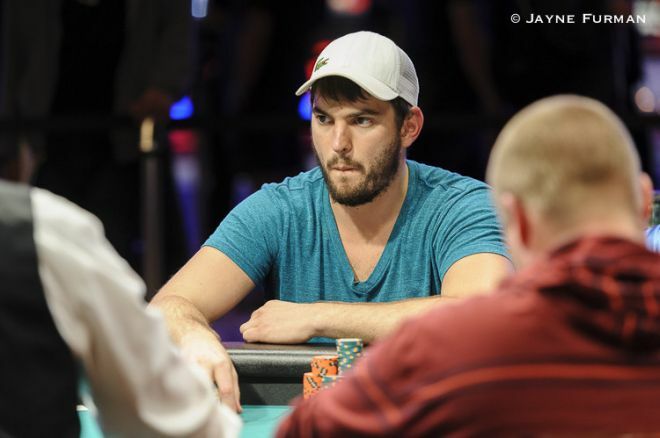 Check out the Full Tilt blog to watch how the FTOPS event #5 final table unfolded. Partypoker strategist Josef Rantamaki is back once again to teach the masses poker concepts they may or may not already know. Even if you think you know everything there is to know about poker, it doesn't hurt to refresh yourself on the basics, such as pot odds. Rantamaki runs through all the important basics you need to know about pot odds in a blog titled A Beginner’s Guide to Pot Odds. The blog runs through the importance of understanding pot odds and how to calculate them when betting or calling. Read more on the partypoker blog about the basics of pot odds.